F. Scott Fitzgerald (1896-1940) is regarded as a great twentieth-century American novelist. In many ways Fitzgerald's legendary life has had a huge impact on critics and readers, perhaps overshadowing his great work. However, Fitzgerald's acceptance into the ranks of serious and important American novelists came only after his death in 1940. Moreover, it is only recently that critics have moved away from studying Fitzgerald's work as that of a merely popular or writer representative of the 20s and examined his works from various other perspectives. 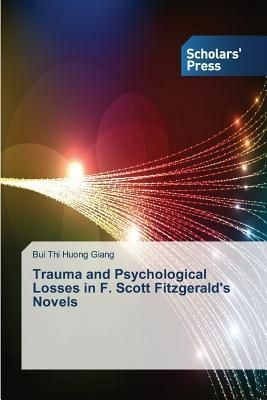 Consequently, I situated the trauma and psychological losses of various protagonists in F. Scott Fitzgerald's novels within a number of overlapping frames: my work has adapted ideas from the influential works on trauma developed by Sigmund Freud, Cathy Caruth, Shoshana Felman, Dominick LaCapra, Jenny Edkins, and others.